If possible the next of kin should attend at the registrar’s office. Failing this, another close relative or the executor is usually acceptable. A death is registered at the sub-district in which the death occurs. The local Register offices and hours are listed below. If you are in any doubt as to which Registrar to visit, please do not hesitate to telephone our office. Doctor’s or Coroner’s certificate of death. Deceased medical card – if available. Details of any pension paid by the Paymaster General i.e. Dockyard or Service. Any surviving partner’s date of birth. Full name of her husband/father. 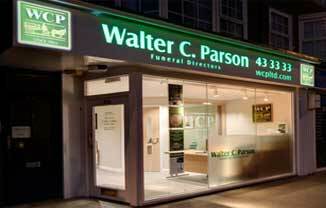 Green certificate for Funeral Director. And for a small charge will issue further certified copies of the death certificate for solicitors, banks, insurances, building societies, premium bonds etc. The registrar will give you details of the Tell Us Once service which reports the death to most government organisations in one go. Lockyer Street, Plymouth PL1 2QD.